In a quest to find universal values, Junko Go’s paintings are not tied to a particular art movement. 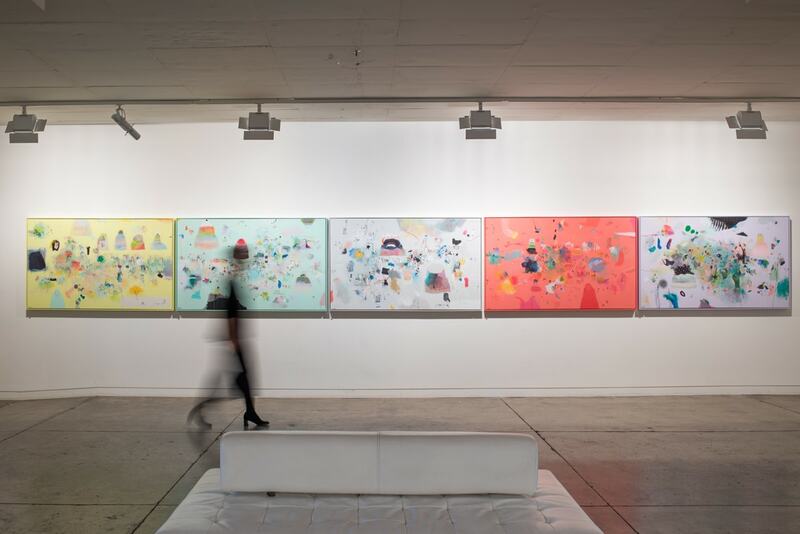 Instead, they possess a unique aesthetic encompassing elements of painting, drawing and storytelling that combine her Japanese heritage with the Australian vernacular. Her exhibition, Me and My Beautiful Ugly Cakes explores the things which allow one to be happy. According to the artist, these include “good health, good sleep, good appetite, freedom from anxiety, love, smiles, success, roses, coffee, BBQs or whatever what one chooses to smell”.